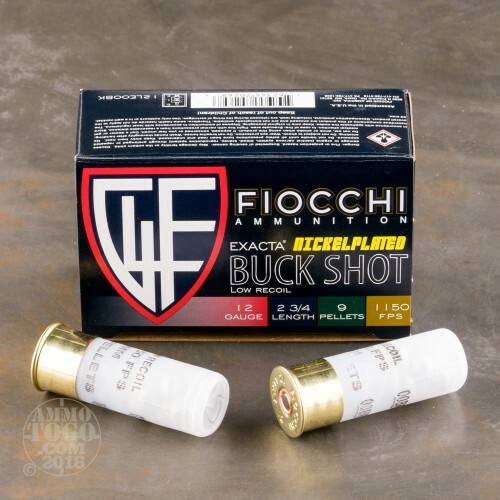 This is 12 Gauge Fiocchi Reduced Recoil 2 3/4" 9 Pellet Nickel Plated 00 Buckshot Ammo. This ammo has nickel plated shot to increase the velocity and improve penetration in a low recoil round. 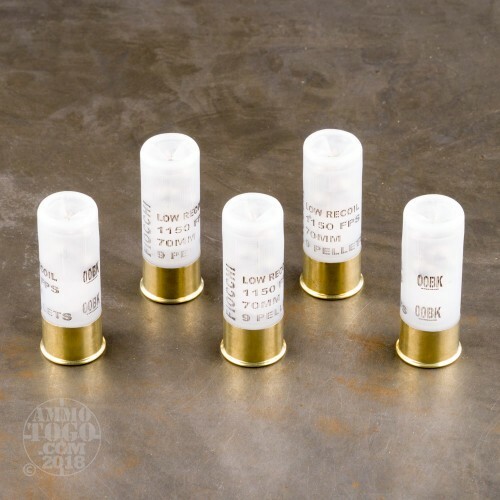 This ammo travels at 1150fps and is considered a low recoil round. 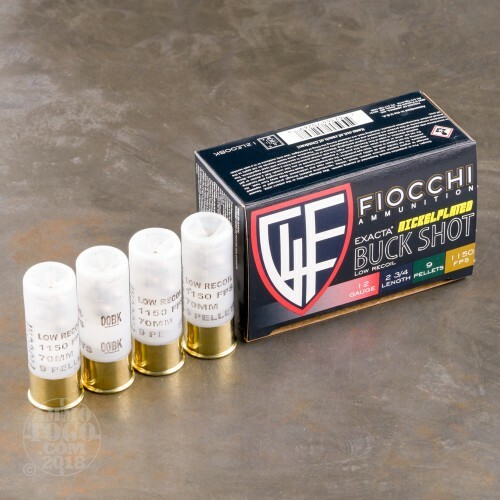 This is premium ammunition at an affordable price and is excellent for home protection. It comes packed in 10rd. boxes. Not impressed - used these in a Saiga 12 and they don't generate enough blowback to work the bolt. None of them cycled properly. Ok for a pump though. These rounds have very little recoil. They are nickel plated and have shot cups. 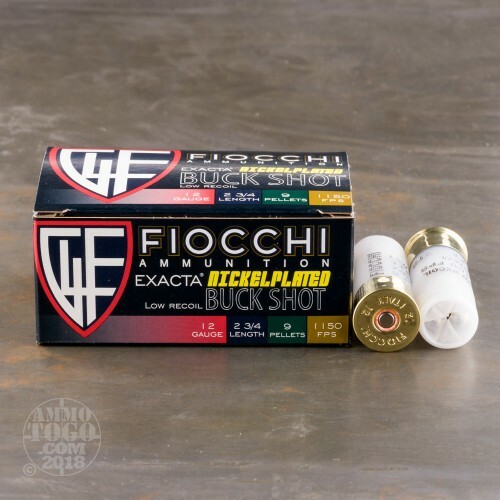 They don't pattern as tight as the more expensive shells, but for the price, they are perfect for close-range defense in your home.